On Wednesday May 23, 2018 the town of Tulln saw orange when students of the HAK International 1BK created a carrot mob. 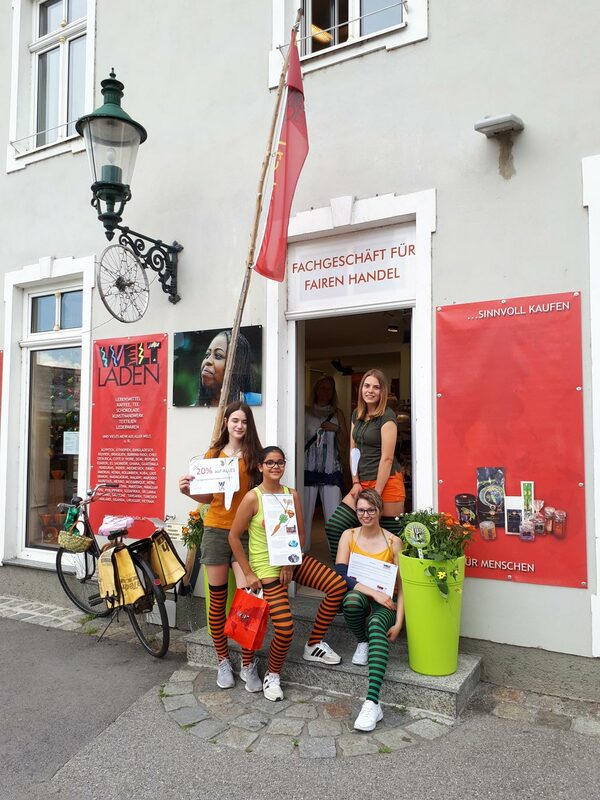 Students wearing orange and green or home-made carrots and placates walked around the Main Square of Tulln to draw attention to inform locals and tourists about the Weltladen, Fair Trade and sustainable production. They discussed the importance and benefits of purchasing fair products. 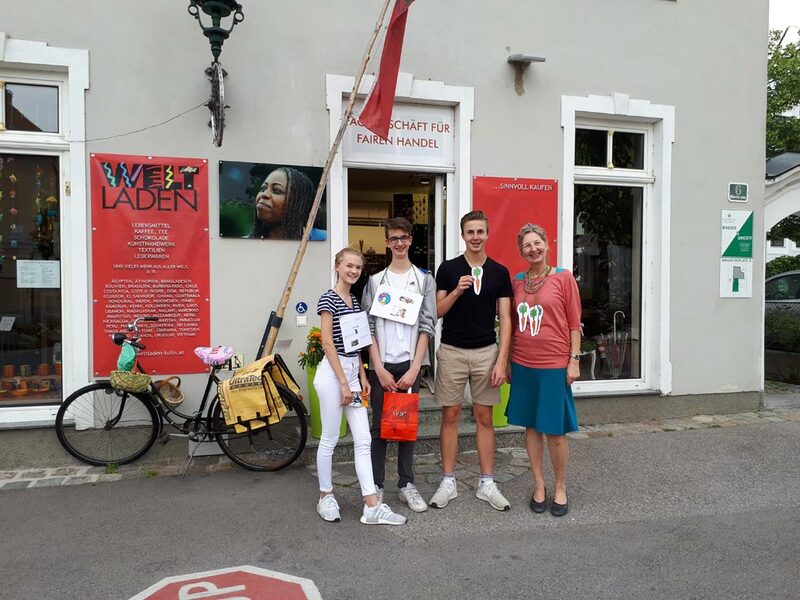 The students were completing a comprehensive Biology project regarding Fair Trade awareness in coordination and support of the local Weltladen. A highlight was informing tourists from Canada about it all in English.